Our Lady mother of God, please hear my prayer, I am being accused to abuse financially an old lady, I am not that kind of person, I always do good and you know that; please help me clear my name and send that evil of people wanting me down away. Please beautiful mother, I beg your intercession, that this situation passes and people do not doubt or investigate me as I have done nothing wrong, that my name forever will be clean and never fall in disgrace, that never loose my job and I can be happy and safe. I consecrate my life to your immaculate heart mother virgin Mary, please help me, I beg you. Please Hear Our Prayers Our Lady If Lourdes. Please beg you to hear my prayers. Please pray for peace in my home, for God’s provision and for a miracle in my finances. Thank you for encouraging more prayer. These novenas always brought out the best. This time , whildisestsining my husband for something I dislike in him,the picture of Our Lady of Lords rLourds me of the time I prayed in front of that very image at Stubenvill In. at Note Dam that he would choose me in merrage. We have been together for 44 years. This novena has rekindeled my love for him. Dear St. Bernadette and Our Lady of Lourdes, hear my prayers spoken and written today. You heard my prayers on the way to work and I ask that your intercession. Right now, I pray that I’m given the divine guidance for the right words back to my attorneys who are trying to take more than their fair share at the end of a long journey. Please guide me as I write back and justify a lower amount. I pray for favor, grace, protection and divine guidance. The novenas has really help me grow spiritually. I am not a prayer person but this site has help me alot. Thank you. Mother Mary, please intercede for me that our Lord will bless me with good health and that my faith shall be strong in whatever comes my way. Amen. Thank you Mother Mary. Blessed Mother please discharged all my debts and bless me with financial abundance. Blessed Mother help Arasu to be from anxiety and mental stress please pray for her. And also her appetite becomes normal again. Please Blessed Mother help Arasu to be from anxiety and mental stress please pray for her. And also her appetite becomes normal again. Blessed mother I place my financial needs and desire into your hands. Please mother intercede for my children that they maybe successful in their exams. I lift up my son who want to become a medical doctor.I pray for his successful journey. I also pray for my marriage. 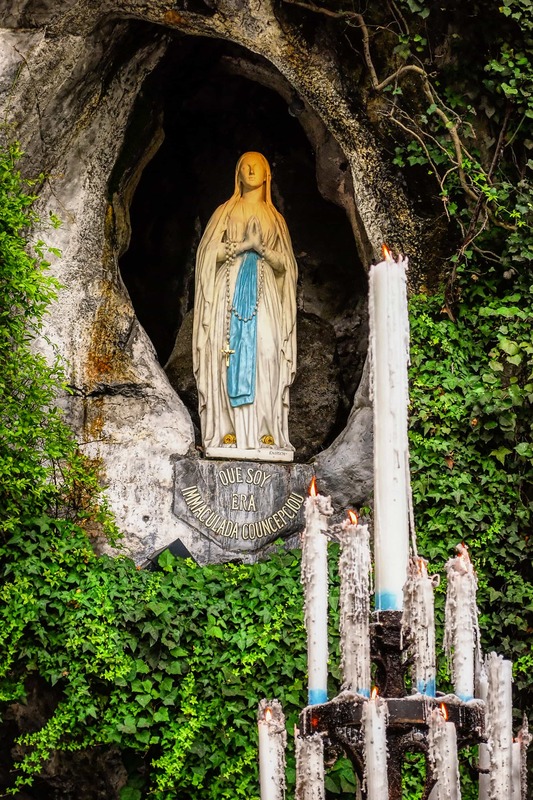 Our Lady of the Immaculate Conception, when you appeared in Lourdes, you made it a holy sanctuary where many have obtained the cure of their infirmities, both spiritual and corporal. We pray with confidence for your holy intercession. Please pray that my hospital investigations procedures and results will be successful this Friday 10th February at 1.30pm. Take away all my fears worries anxieties nervousness depressions and stress. Thank you dear Mother and St Bernadette. Our Lady of Lourdes Pray for me to find financial security, healing from type 2 diabetes, for life to work easier for me. Also for the two young children living with us will have a happy successful life always. Please Blessed Mother help my daughter Shelley to be free of cancer in her body and lung please pray for her. Our Lady of Lourdes please pray that i may pass my remaining subjects and graduate this April 2017. Please also pray for the soul of my relative who recently passed away.